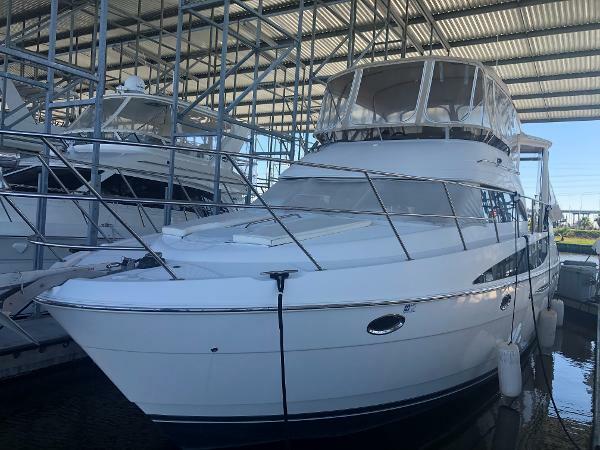 2004 Meridian 408 now available!!! Looking for comfort, space, amenities, and style in your next motor yacht? LOOK NO FURTHER!!! This wonderful 408 is the perfect new yacht for you! Ideal for your entire family or guests to spend the night in comfort! 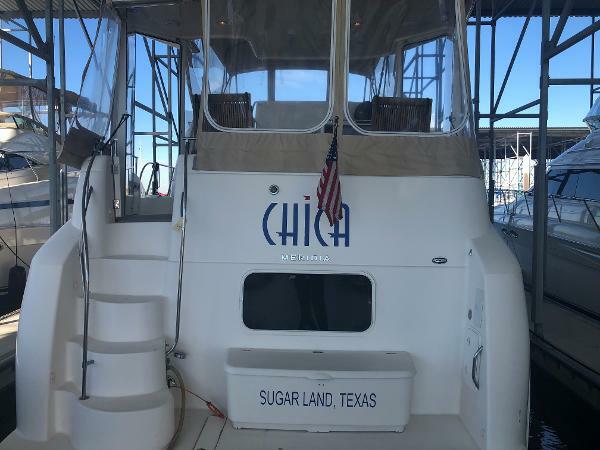 Owner has wonderfully maintained this terrific aft cabin motor yacht. New bottom paint and zincs! Diesel engines! Great interior space! Amenities include: Bow and Stern thrusters! Full bridge enclosure KVH Tracvision cockpit ice maker, helm refrigerator 48 mile radar! 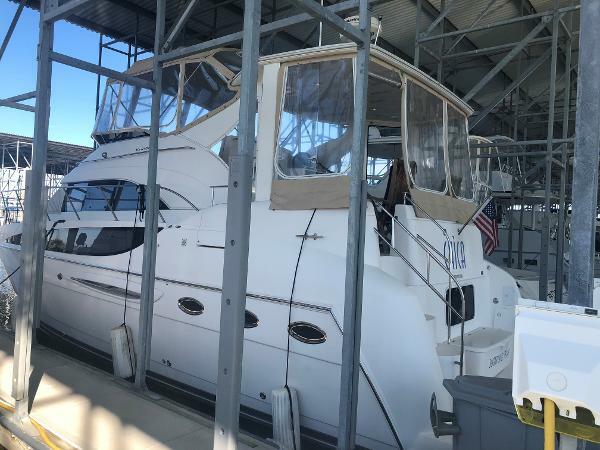 autopilot windlass oil change system With a hull design that maximizes performance and a deck design that optimizes space, the Meridian 408's aft cabin configuration has plenty of room for family and friends. Exceptional interior visibility gives everyone views of the magnificent surroundings. A full-beam salon lets you entertain with ease, while the salon media center features a 24-inch television, VCR, AM/FM stereo and CD player to deliver entertainment in style. A forward head can be accessed from the forward stateroom and salon, for use as a day head. A full-beam master stateroom with regular queen innerspring mattress lets you sleep in luxurious comfort.